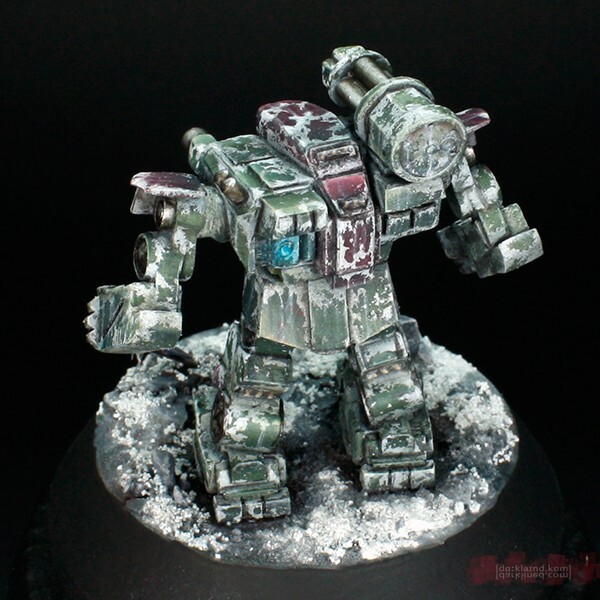 The Shockwave is another of the fantastic new sculpts for Battletech from Iron Wind Metals. 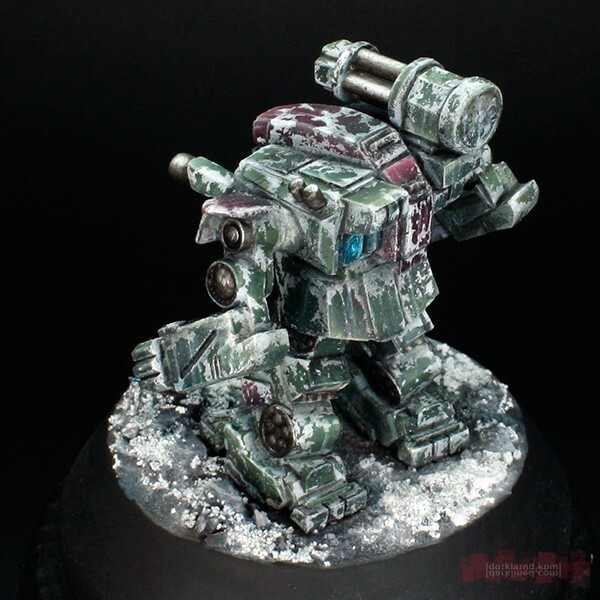 The Battletech line has really matured and become very competitive recently in my opinion. 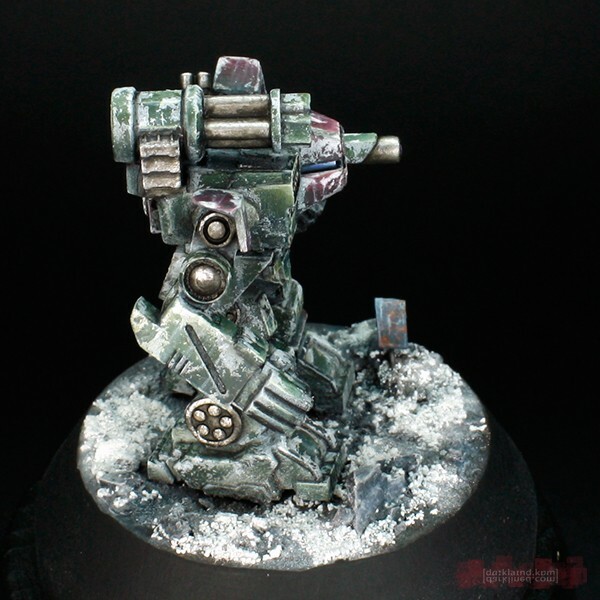 For the scheme I decided to give a winter whitewash another shot. The basic colors are of the Republic Standing Guard of the Republic of the Sphere. To be honest, I am not fully convinced of the result and I am getting the impression that such a scheme may be too busy for such a small scale. 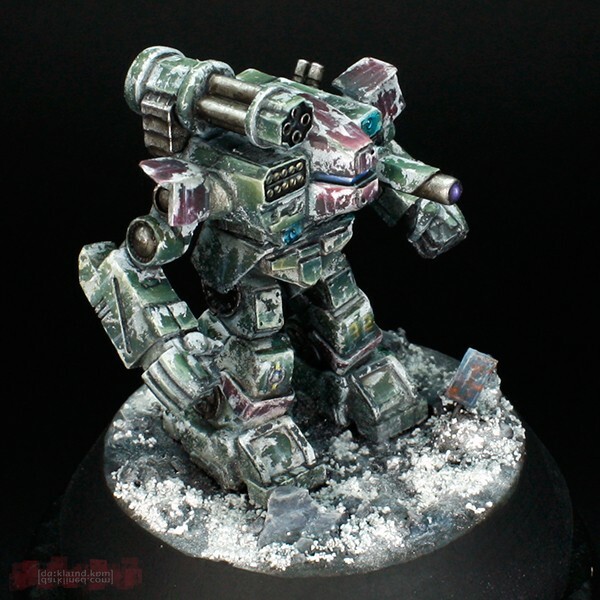 But it was a very good experience and a welcome chance to experiment with techniques usually associated with scale models and to combine them with more “traditional” miniature painting techniques. 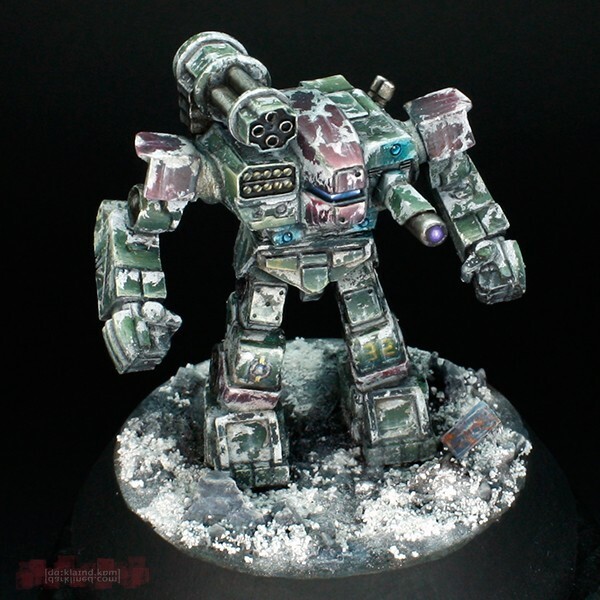 Really like your models, the detail and the tear-wear on your models. 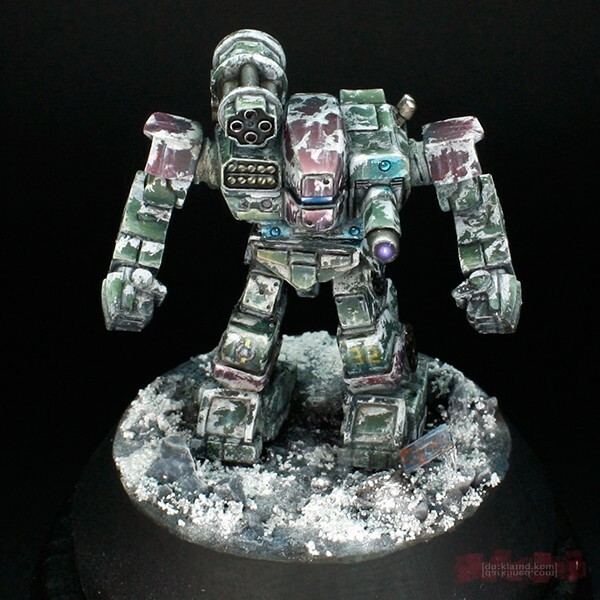 My opinion with winter models with snow base and snow on the model is it really takes away the focus, or in other words the snow covers it up. I think it does not worth it. Don’t misunderstand me, the outcome is excellent, but I think your models with the nice bright colours, with the satisfying transitions would have more impact. A mech is really hot it it’s reactor is online, I think the body takes over the heat from the reactor just like heat sinks. For example “partial wing” part in CBT rules help dissipate heat as extra surface on which heat can escape. Other question, I really love your painting style, it is really inspiring. I wanted to know what technique are you using, layering or wet blending, I still a newbie, so I couldn’t decide. Interesting. In this case I could use it as an explanation why there is no snow immediately around the Mech – thawed away by the warmth of the Mech. The white spots on the Shockwave are not supposed to be snow by the way. 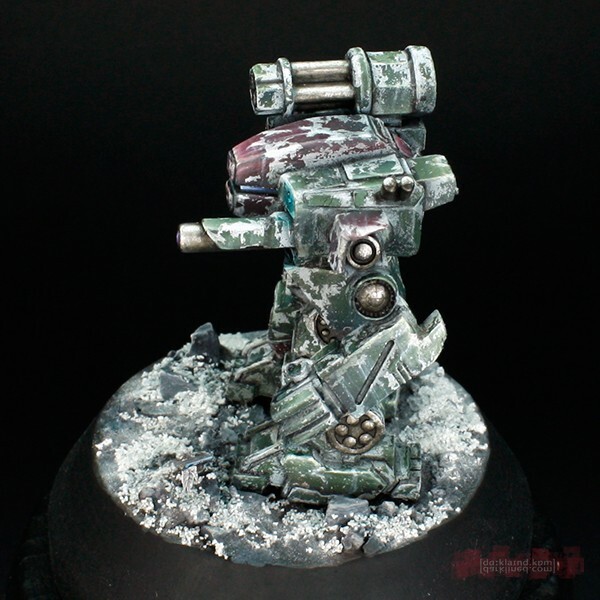 I was going for a winter camo effect that is often seen on WW2 tanks. Soldiers used to paint the tanks with lime to create an ad-hoc winter camo. 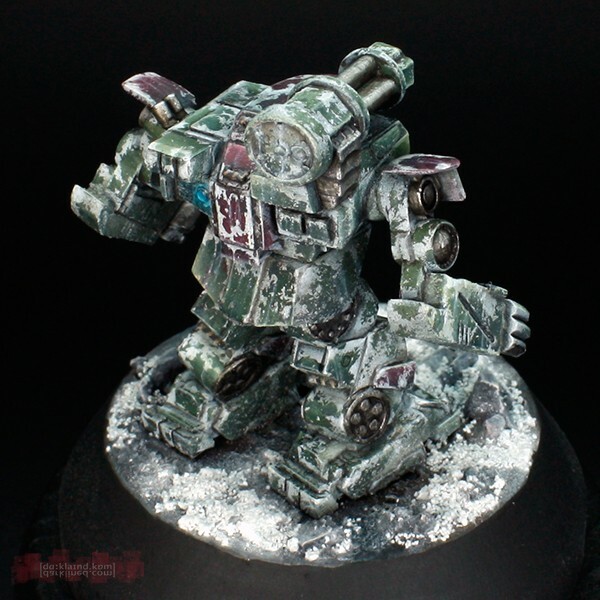 Lime is not very durable though and after a while it looks patchy and washed out, with lots of streaking effects. My technique is actually a little bit of this and a little bit of that. 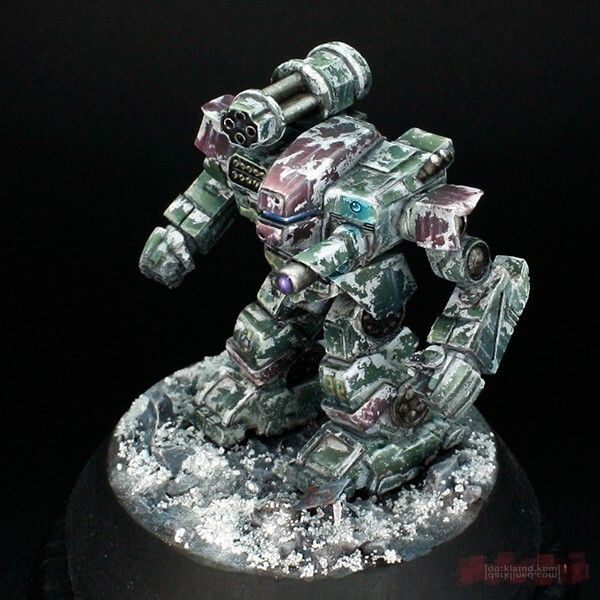 Often I use more of a wet-blending style to get the basic shadows and lights quickly and then use other techniques like feathering, layering or glazing to enhance and refine the effect.